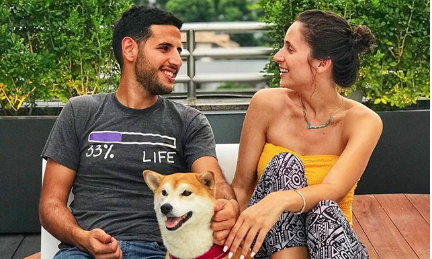 Shortly after the announcement of Nas Daily Media Company’s move to Singapore, founder Nuseir Yassin shared with TODAY his plans to double the team. He told the Mediacorp publication that over the “next few months”, he will be hiring about five more people. While Yassin did not mention what kind of talent he is looking for, it is likely that that those hired will be contributing to the new video production house the company is setting up in Singapore. The production house, as told to TODAY, will focus on creating Facebook videos for clients. Adding on, Yassin said that his goal is to get a big office right next to the Facebook office in the Marina One Tower and “it’s just a matter of time” until the company gets there. Announcement: We’re moving to Singapore! After 1,000 days of moving around, it’s time to find a place to call home for us and for my new company. There are many reasons why I chose Singapore over other places. But mainly due to my belief that this part of Asia might be the new America. Singapore is the world’s most expensive city (😱), but I also think it’s the world’s best place for our purposes: to live and to build up the Nas Daily Media Company. We’re moving in April for two months or two years or twenty. Nobody knows. But I do know I want to give this a shot. Thanks for all the support everyone! We don’t take it for granted. Singapore first came into view in August, when the vlogger posted six videos about the country in a span of one week. Yassin’s visit saw two brands – Changi Airport Group and Sports Hub – being thrust into the spotlight. More recently, NTUC Income partnered with Nas Daily on Facebook in October to feature Yassin in its retirement campaign. The Coca-Cola Company has revamped its corporate website, calling it the Coca-Cola Journey as it "marks its stand as a media owner..